This painting is dedicated to all those who served in the North Africa campaign of WW2, including Mr Wagstaff (pictured below). Thank you for sharing detailed accounts of your experiences as a gunner at El Alamein. Sharing a beer with you in Darwin on the way back from our trip to Egypt, gave me the idea of a 'toast' in this painting. Farewell. Ubique. 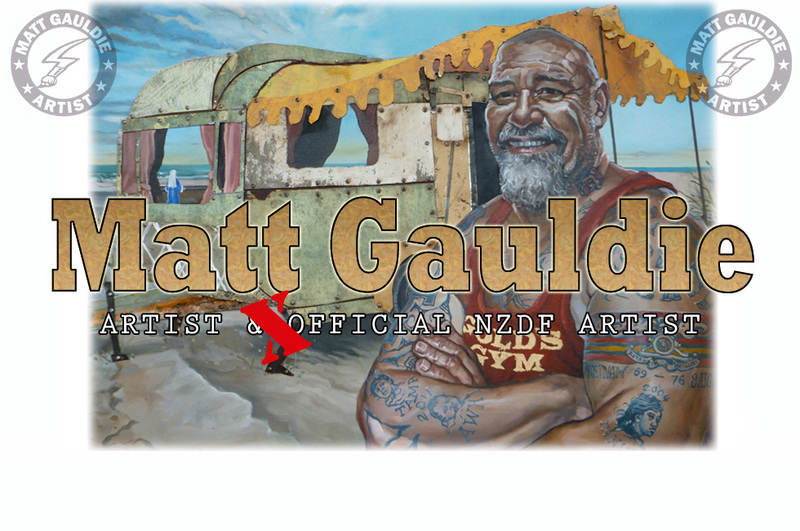 I chose to paint the portraits of Mr Tom Wagstaff and Mr Keith Matthews, two of the special men on the tour who I was lucky enough to get to know and befriend. Both are drinking a toast to their fallen friends with a bottle of Egyptian beer 'Stella', the beer of choice for the New Zealand soldiers in 1942. Behind them is the El Alamein War cemetery as it appeared on the day of commemoration. The 25 pounder gun crew dug in amongst the headstones is a ghostly vision of what the veterans may see, as the rest of the NZDF staff and caregivers walk with them through the rows of sand coloured head stones, reading so many names. 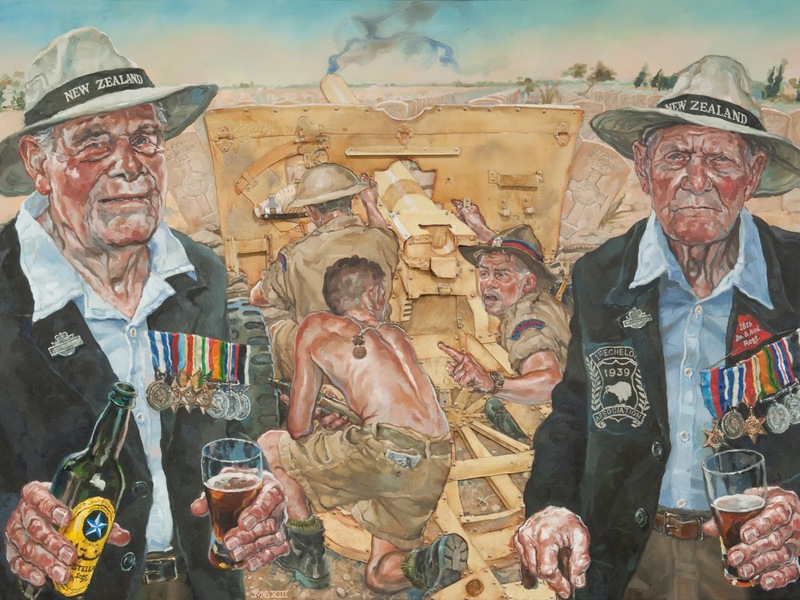 Looking at the veterans’ far away eyes, it’s clear they see the faces and remember the voices of their friends they trained with, friends they sailed with to the other side of the world and friends they fought in the desert with 70 years ago. I have made the gun from sheet metal, constructing the metal around the gunners. I wanted to highlight the gunners and surround them by steel, showing the fragility of the bravest men as they confront and operate the heavy metal equipment of war.